Using the tool is straightforward. Just go to https://service.lightstreamer.com/ConfigUpgrade/ and follow the online instructions. You will be able to upload any xml configuration file pertaining to Lightstreamer 5.1.2. An interactive assistant will prompt you for any choice that should be made. Then, your configuration file will be upgraded and made available for download. 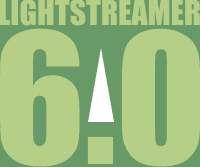 Lightstreamer 6.0 contains lots of improvements and has received many positive feedbacks. We highly recommend upgrading, especially now that converting config files is as easy as pie! Don't hesitate to get back to us (support@lightstreamer.com) for any question or issue with the tool and the upgrade process in general.